Maxx Force is one of the roller coasters with higher anticipation for 2019. Coming to Six Flags Great America this year, Maxx Force will fill a gap in the lineup and provide a solid ride experience for guests. The coaster is known to be a triple-record breaking coaster. It will have the fastest launch on a launch coaster in North America. The ride looks to be a great addition for the park and to draw a lot of new and returning guests to the park! The coaster will launch from 0-78 miles per hour in just 2 seconds! The launch will use an air-powered launching system with compressed air. For clarification, the ride will have the fastest time to launch in North America on any roller coaster. It will become the 17th roller coaster at Six Flags Great America! The coaster will feature the world’s highest double-inversion at 175 feet above the ground! 175 feet is the highest height during the ride. A zero-g roll during the course of the ride will be the fastest inversion on any roller coaster being 60 miles per hour. The coaster will open during Summer 2019 in the Carousel Plaza portion of the park. It will be manufactured by S&S Sansei Technologies. This appears to be another great opportunity for the firm to gain more expertise to compete with other companies. I think if everything goes as planned and all of the rides manufactured by the company turns out well, it will be very beneficial to both the park and S&S. The coaster will have a total of 5 inversions. The trains will have 3 cars per train with 2 rows, 2 people per car. Making a total of 12 passengers per train. I think Maxx Force, personally, will turn out to be one of the better coasters that will open in 2019. It looks to be a fantastic addition to Six Flags Great America! It is bringing a different coaster with unique elements and a unique ride experience to the park. 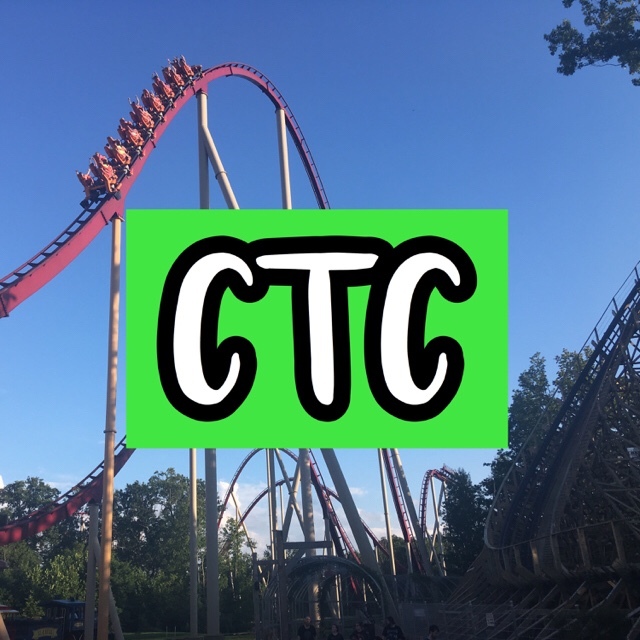 The coaster will, without doubt, attract new guests to the park, and boost attendance for the 2019 season. The ride looks very unique comparing the elements and stats to many other roller coasters opening in 2019. Compared to past coasters at Six Flags Great America, this looks to be one that will rank high. I hope to ride Maxx Force in 2019! It looks to be one of the best new coasters for the upcoming season! I am confident that this will be very successful for both Six Flags and S&S Sansei Technologies! Remember to subscribe to my blog to get notifications on the WordPress Reader or an email when new posts are released. As of January 2019, new posts are released approximately every 3 days! I think Maxx Force looks like a pretty good addition for SFGA. I think it fits into their line up pretty well. I agree. Maxx Force looks to be a fantastic addition for Six Flags Great America. It was a great choice to add it to their park rather than another park in the Six Flags chain because it is just what their line up needs. It will fill a space in some areas of their line up and also compliment the other coasters in the park too. I do not like rides just because of stats. However, for this ride, that is the only information known so far. That is why I tried to base it on all of the facts and use that to come to a conclusion. 2019 is not that bad, there are still some great coasters and rides coming. Compared to 2020, however, it will seem very weak. Thanks for reading! I don’t ride coasters because of their stats or records. It’s kind of like saying you write great reviews because you use the most words or can re-write the press release in a way it somehow conveys something new. 2019 actually looks like a sad year for most parks with the exception of Disney (Star Wars land) or Universal (Harry Potter – Dueling Dragon replacement). Hope I am wrong, but it seems like we are in a lull until at least 2020. PreviousImages of America – Cedar Point Book Review! NextTop 10 Parks on My Bucket List!